Emna Zghal, The Tree Of My Mind, Artist's Books, 9 in X 12 in, 2006. 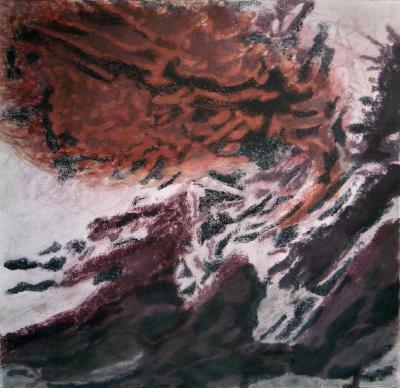 Emna Zghal, Imaginary Bark, ink and watercolor, 10 in X 14 in, 2004. 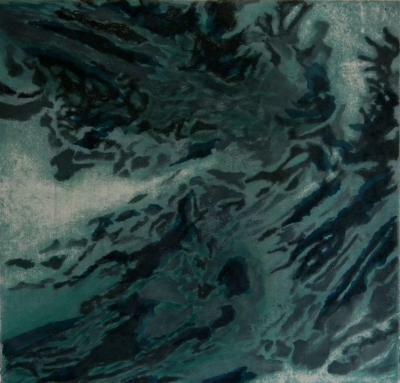 Martin Zet, Sea Drawing: York Harbor #828, Ink and waves on paper, 59 in X 94.5 in, 1999. 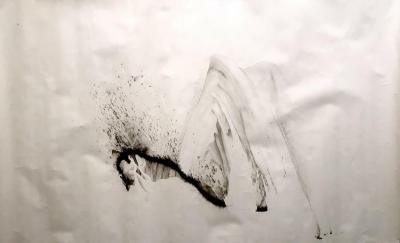 Martin Zet, Sea Drawing, Ink and sea water on paper, X , May 27, 2005 – December 31, 2006. 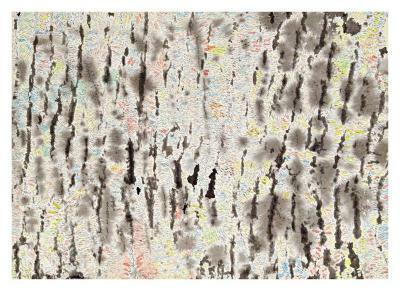 Martin Zet, Untitled (Waves), ink on paper, 27.5 in X 39.5 in, 1999. 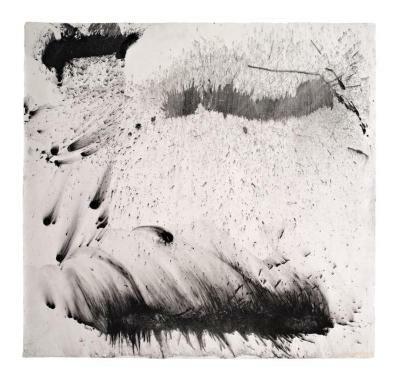 Martin Zet, Sea Drawing, Ink and sea water on paper, 34 in X 36 in, May 27, 2005 – December 31, 2006. 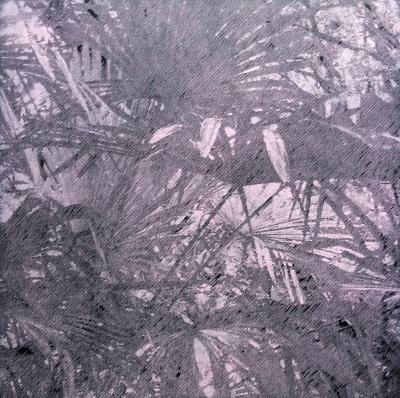 Katsutoshi Yuasa, Tristes Tropiques #2, woodcut, 80 cm X 80 cm, 2015. Katsutoshi Yuasa, Tristes Tropiques #1, woodcut, 31.5 in X 31.5 in, 2015. Katsutoshi Yuasa, Whereof one cannot speak, thereof one must be silent, woodcut, 26 in X 20 in, 2014. 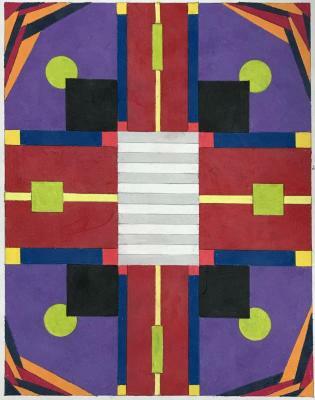 Geoffrey Young, Red Cross, colored pencil on paper, 10.5 in X 8.5 in, 2017. 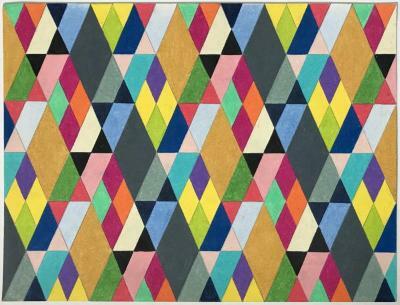 Geoffrey Young, Untitled, colored pencil on paper, 10.5 in X 8.5 in, 2017. 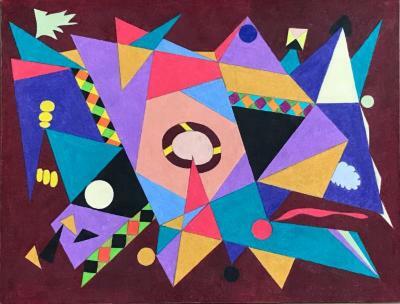 Geoffrey Young, To the Lifeboats, colored pencil on paper, 8.75 in X 11.5 in, 2017. Geoffrey Young, Absolutely Sweet Marie, colored pencil on paper, 8.5 in X 11 in, 2017. Geoffrey Young, Ulysses , colored pencil on paper, 8.5 in X 10.5 in, 2017. Barbara Yoshida, Brodgar Stones-Moonlight, Orkney, Scotland, photogravure , 23 in X 18.25 in, 2003 – 2004. 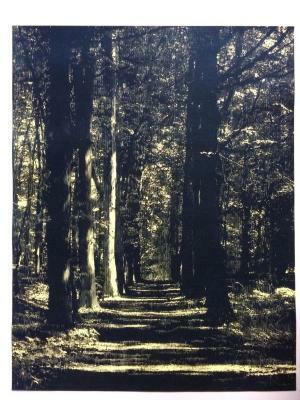 Barbara Yoshida, Alignments du Mouliin-Moonlight, St. Just, France, photogravure , 23 in X 18.25 in, 2004. Barbara Yoshida, Eagle Skeleton on Wet Rocks, Isle Royale National Park, 1999, photogravure , 12.625 in X 10.8125 in, 1999 – 2000. 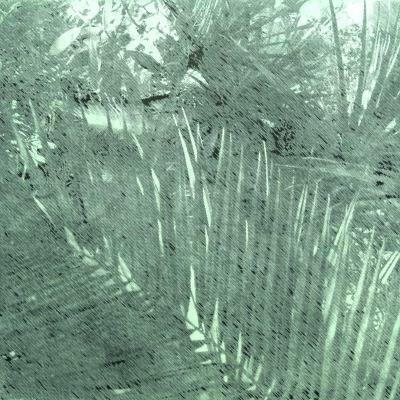 Barbara Yoshida, Rocks and Grasses Royale National Park, 1999-1, photogravure , 10.25 in X 13.8125 in, 1999 – 2000. 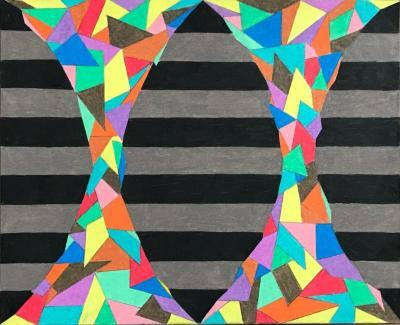 Grip Series 1 - 12, Marker on Chinese Take out cardboard, 2008. Falling, monotype collage, 16 in X 20 in, 1999. 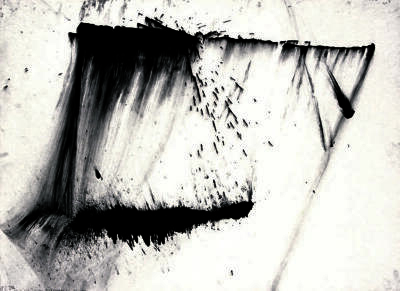 Wind Toss/Night, monotype collage, 16 in X 20 in, 2001. Wind Toss/Day, monotype collage, 16 in X 20 in, 2001. Freefall, Printmaking, 16 in X 20 in, 2001. Floating, Flying, Printmaking, 16 in X 20 in, 2001. 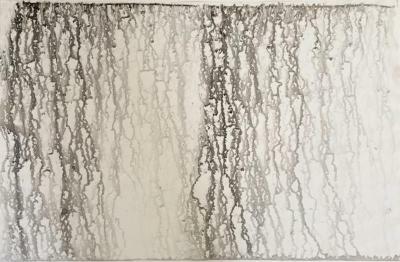 Jennifer Wood, Earth Motion V, Intaglio, 22 in X 22 in, 2013. 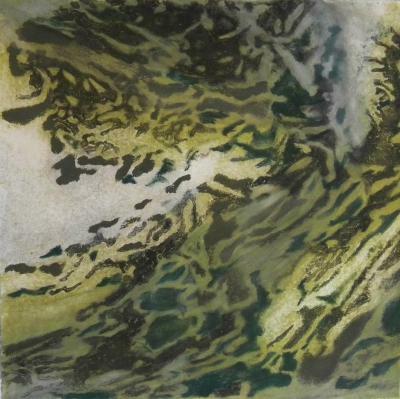 Jennifer Wood, Earth Motion IV, Intaglio, 22 in X 22 in, 2013. 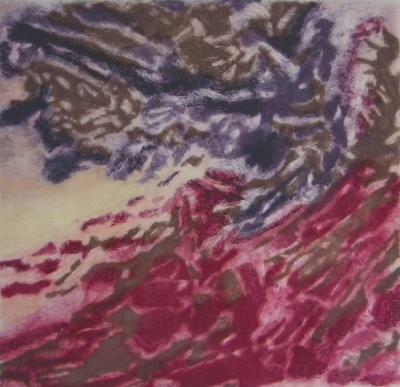 Jennifer Wood, Earth Motion III, Intaglio, 22 in X 22 in, 2013. 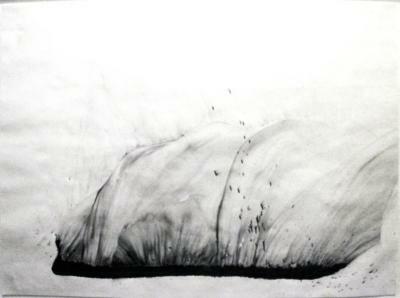 Jennifer Wood, Earth Motion II, Intaglio, 22 in X 22 in, 2013. 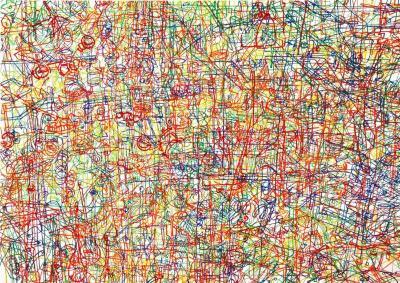 Gosia Wlodarczak, South Wall #3, Pigment, marker on paper, 19.5 in X 27.5 in, January 1 – 5, 2004. 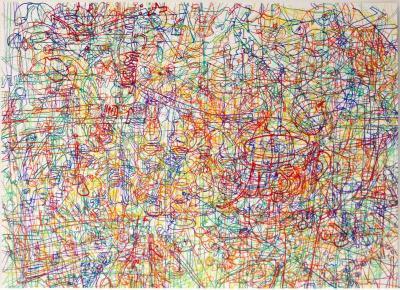 Gosia Wlodarczak, South Wall #2, Pigment, marker on paper, 19.5 in X 27.5 in, January 1 – 5, 2004. Gosia Wlodarczak, South Wall #7-27, Drawing, 8.5 in X 11.5 in, 2003. 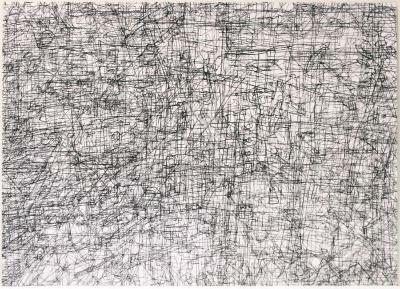 Gosia Wlodarczak, West Wall #3-38, Drawing, 9 in X 6 in, 2003.